Mint is one of the most abundant herbs around the world, living and thriving on all continents except Antarctica, and growing like a weed nearly anywhere it’s planted. There are dozens of types of mint, but the main varieties are spearmint (Mentha spicata), peppermint (Mentha x piperita), and pennyroyal mint (Mentha pulegium); some of the other mints like lemon mint (Monarda citriodora) are actually not mint at all. When mint is used in the kitchen, it’s usually spearmint. The aromatic compounds in mint are pungent, refreshing, and unique. They also degrade pretty quickly, which means that mint has a limited shelf life. By the time a restaurant or bar receives mint, it’s usually lost that freshness. This makes freshly harvested mint a premium product that local farmers are equipped to supply! Once you’ve had freshly harvested mint, there’s no going back. The uses of mint are nearly endless. Everyone has heard of mint, whether in teas, jellies, desserts, garnishes, or as a seasoning for savory dishes. One of the best markets for mint growers is bars and restaurants. They use mint as a key ingredient for drinks like a mint julep or mojito, where mint’s flavor is key to a great drink. Mint is hands-down the easiest crop to grow in ZipGrow towers. It’s easy to plant, grows quickly, and is as easy to harvest as chives. Growers can just cut straight down the face of the tower, all the way to the crown of the plant. Its bright leaves grow lush, making full towers look beautiful wherever they are, whether in your greenhouse, a restaurant, or a grocery store. This makes them superb candidates for live sales and displays. Because it grows so fresh and tender, it also makes a great cut product for day-of-harvest deliveries. Both of these sales models are viable, easy solutions and have proven to be well received by clients. Mint is tolerant of low EC and some temperature variation, although it doesn’t do well when heat spikes above 80º F.
Mint struggles less with pests than many of the herbs, although verticillium wilt and powdery mildew can become problems. Keep your greenhouse dry and stay on top of pest control. Mint can be grown from seed, but using cutting or rootstock is much quicker, especially on a commercial scale. From mint cuttings, or “clones”, mint roots out and grows to maturity within a few weeks. For stem cuttings, you can select healthy green sprigs and simply set them in water. We’ve used cotton or loose soil to set cuttings, but Haydn Christensen, the owner of Bayberry Fresh, takes it one step further and just drops his mint cuttings in the gutter that runs below the tower. By using this method, he makes cloning a seconds-long task. For rootstock, you can pull out the media when a mature tower becomes overgrown, remove some root material to populate a new tower, and simply tuck the root material in the new media. Then replant both towers—one with old and one with new root material—and voila! You have two towers of mint. Some growers say that replanting mint every few years can keep the flavors strong and fresh; we recommend thinning out mint towers every year or so anyway, as mint is the only plant with roots strong enough to actually expand the rigid Tower housings. Harvesting mint couldn’t be easier. You can shear down the front of the tower with a knife in one action, cutting to 1–3 inches from the face of the tower, then rehang the tower to be harvested again in only 2–3 weeks, once it has grown out to about 8 inches. Mint can be harvested the same as chives—see how that’s done here. Some growers do prefer to harvest sprigs with shears so that they can pick and choose the young tender shoots as a premium product. Since mint grows quickly, we run mint on a 3-week turn, harvesting it completely between each new turn. It’s a lightweight herb but still produces about 3–4 lbs per ZipGrow Tower. Depending on local markets, growers can expect anywhere from $2–4 per ounce. Specialty markets sometimes sell mint for even higher prices! Check with local consumers, stores, and markets to see if there’s demand for mint in your area. 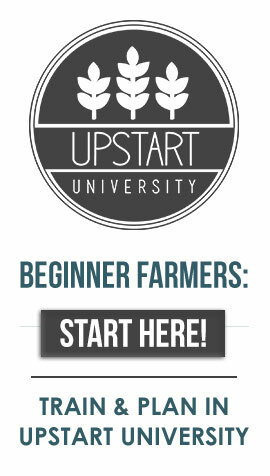 Ready to pick and grow crops? 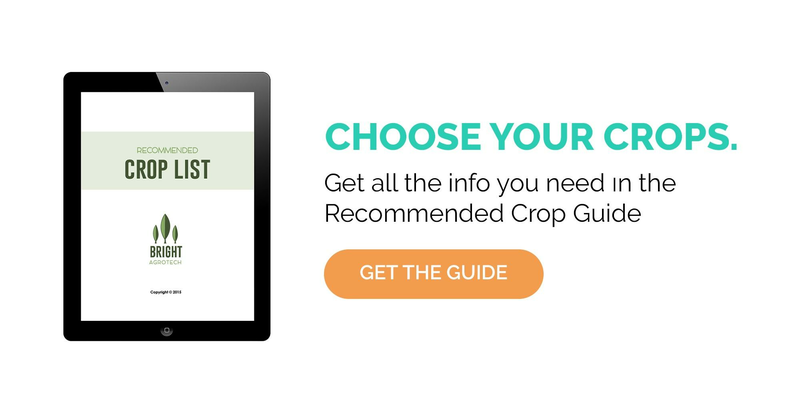 The Recommended Crop List is the aggregate of data on ideal conditions and yield for our top hydroponic crops. You can pick up your copy below. Cooling the water is a great idea—it’ll keep the root zone cool, which is essential in hot climates. Hello, I am unable to access the crop guide, any chance of having a different, usable link? Thank you! Do you use Rockwool in the towers? If so how do you get the roots out of the Rockwool? Hi Kyle—the media in the towers is called Matrix Media. You can learn more about it in the ZipGrow course, or by visiting zipgrow.com. I’m curious how to keep the mints clean. One of the great advantages of growing indoors is that there is much less risk of contamination. As long as you practice good food safety, your mint should be fine!